The purpose of the Fund is to provide students, preferably graduate students, with the opportunity to travel outside of Hawai’i to engage in study or research in Okinawa-related subjects. These students should have an academic focus or interest in Okinawan studies and have demonstrated a commitment to learning about or acquiring a deeper understanding of Okinawa, its people, culture and history. First priority use of the Fund shall be for travel with educational purposes that are directly related to Okinawan studies, and may be used for, but not limited to: attending conferences, presenting papers, conducting research, and participating in educational activities such as student competitions, training or special or joint projects. Second priority use of the Fund shall provide general support and aid to students, which include, but are not limited to: scholarships (tuition, books and fees), awards, conference fees, project materials and supplies, or training directly related to Okinawan studies. Matsuro Nakasone was born in 1903 in Okinawa and immigrated to Hawai’i in 1920. Tsuruko Tamanaha, born on Maui in 1910 and sent to Okinawa to spend most of her childhood there, returned to Hawai’i in 1925 and, in 1932, married Matsuro Nakasone. They had five sons and one daughter. Matsuro started out as a plantation field worker and later became the cook at the Lana’i Plantation. Because of limited educational opportunities in Lana’i, the family moved to Honolulu and started a small “hot dog stand” on Hotel Street. They worked hard to support families in Hawai’i and Okinawa. As with many poor immigrant families, life in the beginning was difficult, but with a tremendous amount of hard work and determination, they were able to develop a successful small business. Since both Matsuro and Tsuruko had limited education, they were determined to send all their children to college. Today, their family includes an accountant, two engineers, a businessman, a computer programmer, and a banker. Matsuro died in 1995. Tsuruko celebrated her 100th birthday in 2010, but passed away at the age of 101 in 2011. Education and Okinawa were important to them in their lives. 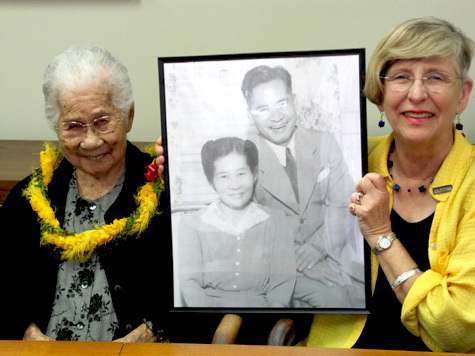 On the occasion of Tsuruko Nakasone’s 100th birthday, the Matsuro and Tsuruko Nakasone Endowment Fund was established in their honor at the University of Hawai’i at Mānoa Center for Okinawan Studies. This endowment fund will allow students to further thelr Okinawan studies while continuing the legacy of Matsuro and Tsuruko Nakasone’s interest in education and Okinawa. 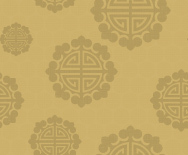 (1) Recipients must be full-time or part-time, undergraduate or graduate students enrolled in any area of study at the University of Hawai’i at Mānoa, who have an academic focus or interest in Okinawan studies and have demonstrated a commitment to learning about or acquiring a deeper understanding of Okinawa, its people, culture and history. Preference shall be given to graduate students. (2) Financial need shall be a criterion in making this award, although not necessarily as defined by federal guidelines. Grant(s) of up to approximately $1000 will be awarded once a year. Number of grants awarded and amount awarded are pending upon the availability of funds. Deadline is March 1 and selection will be made within a month of the deadline. Travel must begin after the application deadline (up to one year in advance). In both instances, students should also state in their cover letters if they have applied for other grants/funding and, for research projects, how they intend to complete the project with whatever funds they receive. Also, if a student has previously been awarded the Matsuro and Tsuruko Nakasone Endowment Fund Award, he/she should indicate when the award was made. While previous recipients may apply, priority will be given to those who have not yet received the award. After reviewing all of the applications, a selection committee will make its recommendation to the center director and the director will make the final decision. All applicants will be notified once the decisions have been made. Once awarded, the award must be used within two semesters of its being issued. The recipient will be required to write a progress or completion report (1-2 pages) upon expending the grant, describing how the funds were used and how the recipient benefitted from the grant. The recipient will also submit to COS a letter of appreciation written to the Nakasone Family for the grant.